Section 6 of the Controlled Drugs and Substances Act concerns not only importing and exporting of a long list of controlled substances, but possession for the purpose of exporting those substances. 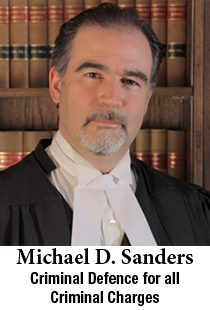 In the case of marijuana, cocaine, heroin, methamphetamine, and ecstasy they are “straight indictable” offences and the Crown prosecutor does not have the option of electing the less serious “summary conviction” procedure. Recent years have seen the introduction of minimum sentences of imprisonment for these offences if certain preconditions or circumstances exist. The prosecution must prove the existence of those preconditions or circumstances beyond a reasonable doubt. In some cases, if plea negotiations are being conducted, the prosecution might be persuaded not to allege a circumstance or precondition in order to avoid the mandatory minimum sentence. These sentences are served in the community, usually with “house arrest” and are only available for terms of less than 2 years and can be followed by a probation order of up to 3 more. Conditional sentence orders generally permit you to leave your home for work, limited shopping for necessities and medical appointments and are obviously an attractive alternative to jail. The downside is they tend to be longer in duration than straight jail terms and there is no remission (parole) earned in respect of them. Also, if you breach a conditional sentence order, you may be required to serve out the balance of the sentence in jail. A suspended sentence is one where the court enters the conviction but, rather than fining you or sentencing you to a term of imprisonment, places you on probation for up to 3 years. If you fail to abide by the terms of your probation order, you can be returned to court and sentenced at that time. As long as there is no minimum term of imprisonment, a suspended sentence is legally available, although rarely imposed. As long as there is no mandatory minimum jail term for the particular offence, the court can impose a fine, with or without probation in lieu of jail. There is theoretically no limit to the amount of the fine although it must take into account a person’s ability to pay. The common defences to importing, exporting and possession for the purpose of exporting are similar to those for Drug Trafficking and Possession for the Purpose of Trafficking. Importing and Exporting, however, have an additional, international element which can make the case more cumbersome for the prosecution to prove. Canadian prosecutors and police do not necessarily have access to the entire investigative file and the evidence as they would if the case were localized in Canada. This can present special problems for the prosecution in terms of compelling witnesses and evidence, fulfilling an accused person’s right to disclosure of all possibly relevant evidence and the admissibility of evidence that may have been obtained outside Canada in a manner that offends Canadian standards. Needless to say, these are matters that would need to be thoroughly explored in the course of advancing your defence. The statement above is not legal advice. It is simply intended to give a very general understanding of this offence and some of the possible issues and defences that might be considered in defending it. For legal advice on the offences of importing and exporting controlled substances, click here.